In 1981 electronics were becoming more affordable and therefore the home entertainment industry was just beginning to grow. Compact video cameras, home computers, video games and video cassette recorders could now be on everyone’s Christmas list. But where to buy them? At the mall of course. 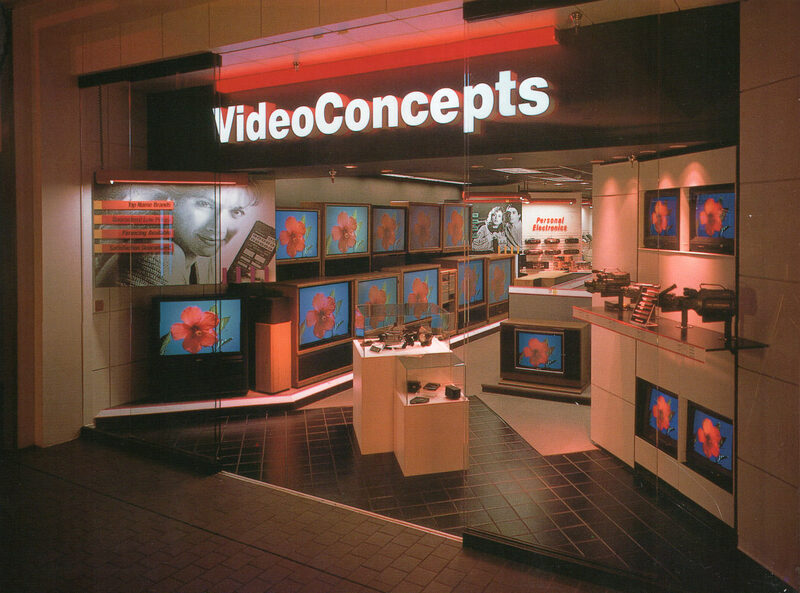 In the early 80’s there were roughly 120 Video Concepts stores located nationwide, with only one of those stores not located in a shopping mall. 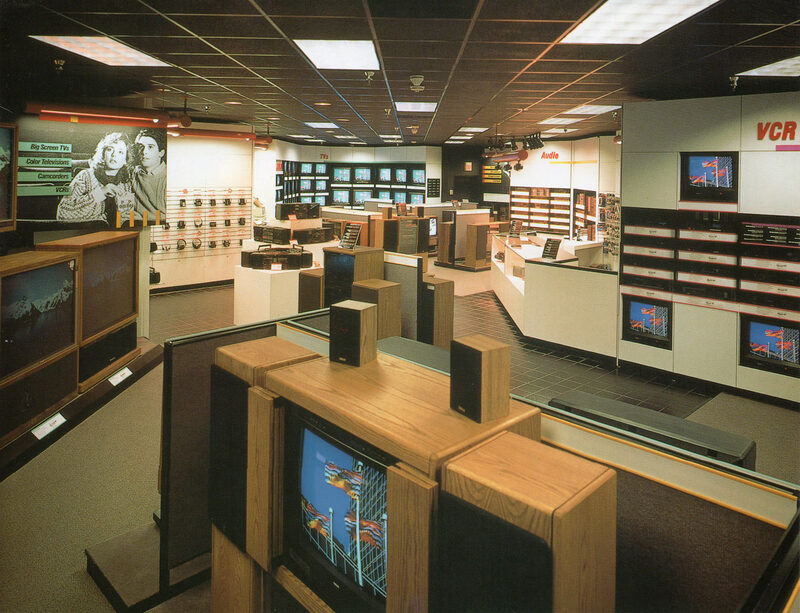 Stepping into this Video Concepts store, located at Ridgmar Mall in Fort Worth Texas, must have felt like stepping into the future, with various sizes of TV’s covering the walls, all playing a current release on video cassette. 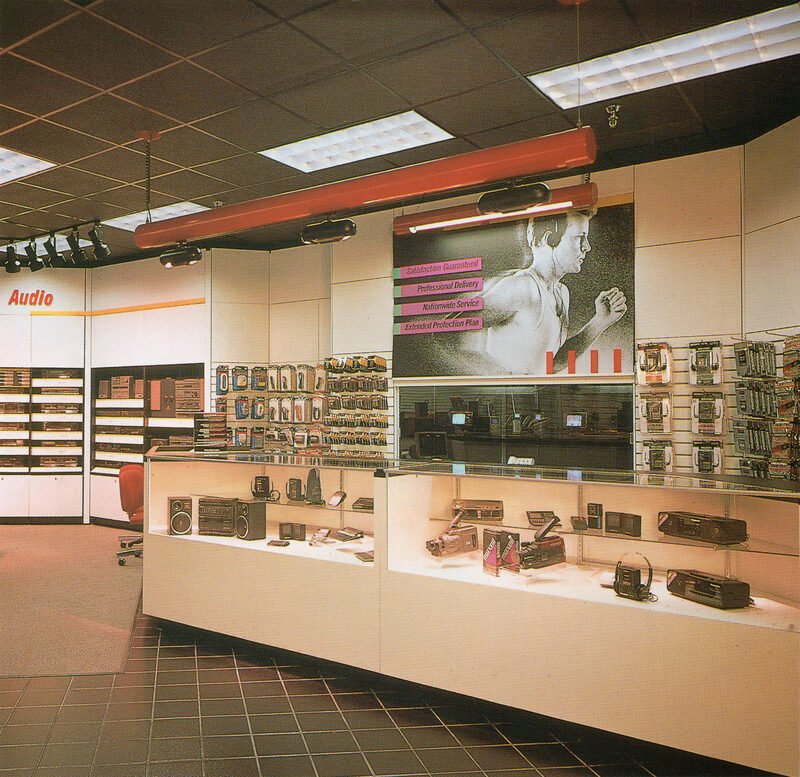 The store layout was very much what we would we would get used to seeing in other consumer electronic stores. Tile mixed with carpeting to create different department areas throughout the store. Uncluttered walls that showcased the merchandise, and simple displays which made it easy to tear down and set up as new products were constantly being rolled out. However the black tiled ceiling and red neon lighting in this particular store makes me want to redo my basement. I personally do not remember buying a video cassette in the early 80’s as I was too young to be buying anything home entertainment, but I have come to find out that a recent release on video cassette could run you upwards of $90. Good thing you could rent movies at Video Concepts. Of course you had to buy your membership first, but after that each rental could be as low as $2 for a 24 hour period. What a great deal! But the rentals didn’t stop there. You could also rent VCR’s, even big screen TV’s. 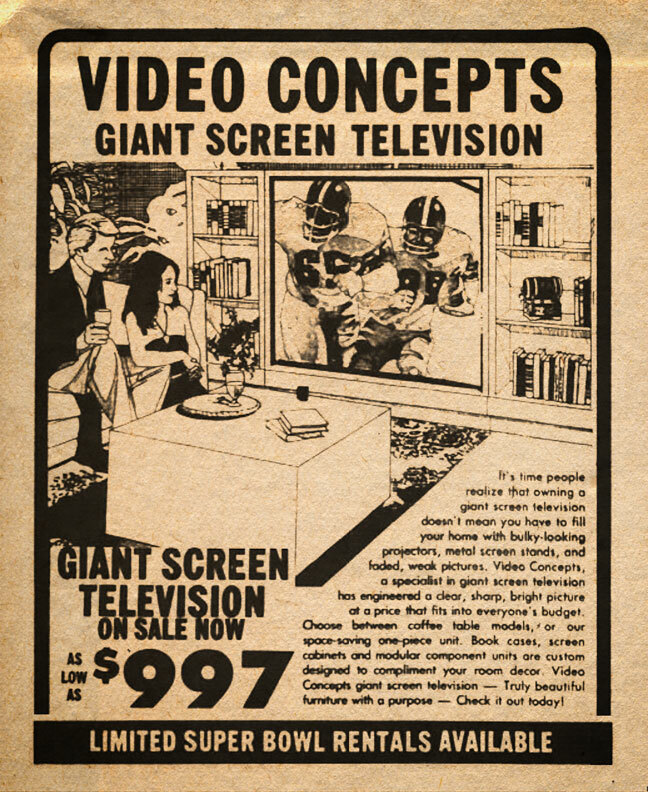 In addition to TV’s, VCR’s and camcorders, Video Concepts also carried audio separates, rack systems, computers, tapes and an array of accessories, all from the finest names in electronics. Panasonic, Sony, RCA and JVC. Or you could even step it up to Pioneer, Technics, Hitachi and more.